Timber can be the most environmentally responsible material for the structural frame of a building, but only if it comes from properly managed and sustainable sources. Trees are nature’s carbon dioxide filters, absorbing carbon dioxide and locking it in. It’s the most sustainable of the major structural building materials, widely available, easily replaced and providing a positive environmental impact. Oak is a naturally durable, ecologically-sound hardwood that does not need preservative treatment. It’s also very versatile, which allows the forming of complex shapes. 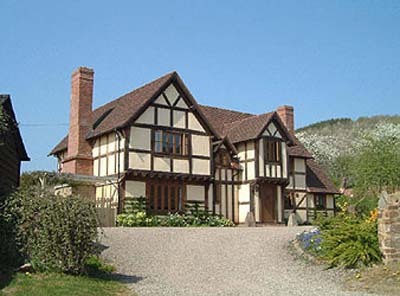 The time-honoured methods of oak timber-frame construction have certainly stood the test of time, having proven their worth over centuries and today’s oak-framed houses use construction methods based on those used for hundreds of years. 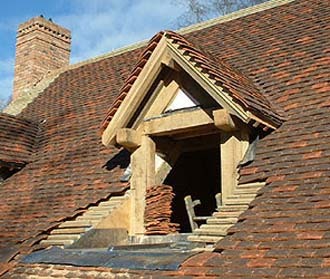 The most traditional method of building an oak timber frame uses joints held together with timber pegs and provides what is often referred to as an ‘honest’ timber frame i.e. one without hidden supports. Mortise and tenon joints first became popular in the Middle Ages when a revolution in oak timber-framing took hold but they were used as far back as prehistoric times. The durability of oak and the craftsman’s skill has meant that many of our most treasured historic buildings date from this period. 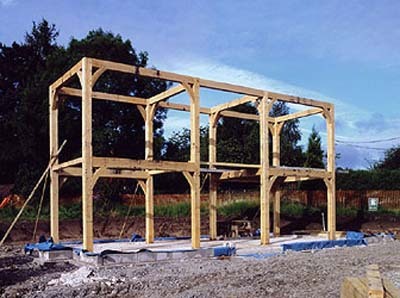 Building an oak-framed home using traditional methods ensures an oak frame of unique character. Oak timber frames last many hundreds of years and there are many examples surviving today that prove this point. Footnote: No doubt you will know that the direction that water swirls round plug holes depends on which side of the planet you live on. It seems that trees do that as well! I did know that trees naturally twist in a spiral, which is why they don’t stay straight for long, but I never realised that the direction of the twist varies in different parts of the hemisphere.